Trust is a very important currency in marriage. It gives both partners a sense of certainty in the relationship, which helps it survive and remain strong. Certainty is a need we all have in life. Subconsciously, we are willing to do a lot in order to have this need fulfilled. When our sense of certainty is a shaken, we get anxious. This can be a killer in a relationship. If you know the story of The Boy Who Cried Wolf, you understand why trust is so valuable. In the story, the boy would run to the village to beg the townspeople to help him, saying a wolf was chasing his sheep. The villagers rushed to help, only to discover that there was no wolf and the boy had lied. A week later, the boy did it again, and again, and again. The villagers came once, twice and even three time, and each time, there was no wolf. Until one day, the boy came running in a real panic, begging for help. A wolf was really chasing his sheep this time. But the villagers did not believe him. He had lied to them too many times. And the boy could only watch in horror as the wolf ate his sheep. If you lie, your partner won’t believe you anymore. Even if you later tell the truth, it will be too late. Trust is easy to break but very hard to mend. If one or both partners “cry wolf” one time too many, there will be an issue of trust between them. I see a lot of couples for relationship coaching. We address issues of trust, like in the story of the boy who cried wolf. This usually comes to light if one partner is doing something that is not part of the “relationship agreement”, like lying or complaining repeatedly, even about little things. The problem with partners who “cry wolf” is that you can’t force them to stop. You can’t make them tell the truth or stop complaining. What you can do is detect (sometimes) the behavior pattern and the situations and emotions that trigger the wolf-crying. You do this by learning to recognize situations when you or your partner behave contrary to your “relationship agreement”. 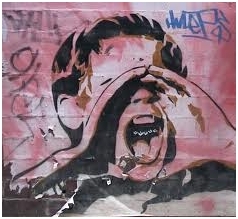 As always, awareness is the first step of breaking the habit of “crying wolf”. Be careful, though. Awareness works best when you use it to recognize your own behavior. Catch yourself being the boy, not the villagers. Another way to make sure trust is solid in your relationship is to work on setting rules that make your relationship transparent. When the rules that make up your “relationship agreement” are clear to both of you, and you are each following it as much as possible, everyone can be certain that you are still “in it together” and that the relationship is solid. Think of trust as a vase. In some cases, if you hit it, it will shake and fall, but not break. 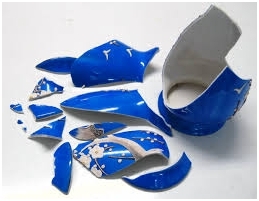 Yet some hits and falls will break it and no glue can put it back together. It will never be the same strength or have the same qualities it had before. Have a joint bank account. Know each others’ passwords, e.g. email accounts, Facebook and phone password. Call home if you are going to be late. When you are away from home for an extended period of time, call regularly. Let your partner know (roughly) where you are at all times. Tell your partner what happened to you today. It helps them feel confident that they know what is happening in your life. Never buy big things without talking about it with your partner. If you are having issues with trust in your relationship, skip surprises. Keep those for a time when you feel more secure. If there is jealousy between you, this indicates a trust issue. Talk about it. Share your decision making process with your partner to help him/her feel like they can trust your motives. If you find yourself more the “crying” or “complaining” wolf crier, learn to pick your battles. If you are the “boy” in the relationship, you have to understand that you, yourself, dilute the importance of your words by over-using cries to get some attention. If you complain about too many things, even things that are not so important, when really important things come up, your partner will not think of them as important anymore because you complain about everything. Much like the boy who cried wolf, complaining too often, about major or minor things, dilutes the importance of your word and teaches others to lose trust in your judgment. Here is an example that illustrates the point. If you complain about the way your partner is dressed, and you complain about the plate that stayed in the sink instead of going into the dishwasher, and you complain about the toothpaste that was not squeezed from the bottom, and you complain about the driver in front of you on the road, and you complain about the local politics or the way they treat kids in Africa, you, yourself, teach those around you that your proportions are skewed. Everything, big or small seems to elicit the same level of “cry” from you. You cannot be surprised then if you complain about your partner not spending enough time with you and your partner does not give it enough attention. If you “cry” about everything, and it seems like you place the same level of importance on the damn toothpaste as you do about your relationship, it’s impossible for your partner to dedicate the same amount of energy to tackle every complaint. 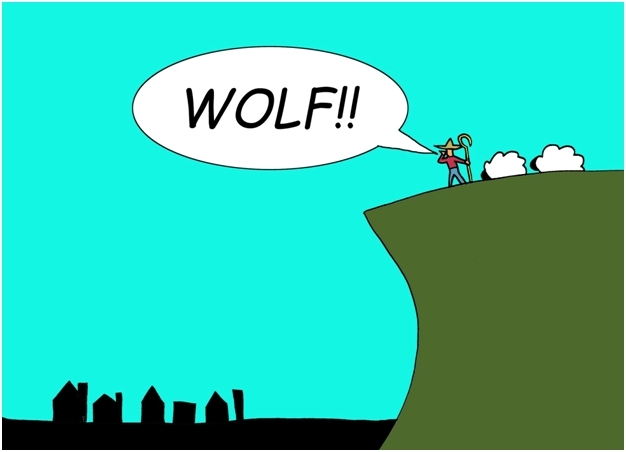 Married couples who find themselves in a story like “the boy who cried wolf”, because of a lie or complaint, may find that the root of the problem is issues around trust. Once gone, trust is hard to build again. If you do these things, try to catch yourself. Make sure the story of your married life is to the boy and the wolf.